A bill intended to help military families become established in Nebraska was passed by the Legislature April 24. 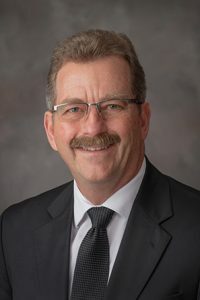 LB639, introduced by Brainard Sen. Bruce Bostelman, gives preference to active-duty service members when seeking employment with the state or its governmental subdivisions. Military veterans currently are eligible for such a preference. Spouses of active-duty service members also are preference eligible during the service member’s active-duty term and for the first 180 days immediately following the service member’s discharge or separation from service.